The competition for share of voice and audience attention has never been fiercer—and content marketers at all experience levels are looking for guidance and insight to effectively craft their content marketing strategy, allocate resources, and boost content ROI. Our friends at DivvyHQ, a content creation, workflow, and experience platform, wanted to help. So, in 2017 we helped DivvyHQ launch its inaugural Content Planning Report, packed with insights to help content marketers contextualize, benchmark, and solve some of their top content marketing challenges—while also building DivvyHQ thought leadership and awareness, and driving targeted leads into their sales funnel. 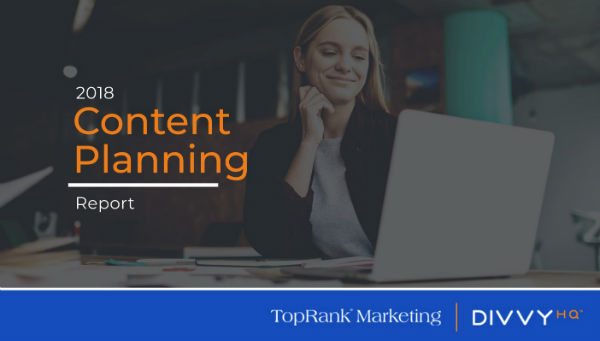 When it came time to prepare for the 2018 edition, TopRank Marketing joined forces with DivvyHQ to partner on the survey, analysis, report creation, and promotion. The goal? To use the combined resources of both companies to create a valuable, insight-packed report that was bigger and better for the industry—while expanding the reach and volume of leads into the DivvyHQ sales funnel. The results? Just seven days after releasing the report into the wild, we saw a triple-digit increases in downloads compared to the same time period for the 2017 report, and that trend continued two weeks and now four weeks post-launch. Read on to learn how we leveled things up this year—including the inclusion of expert voices to bring the data to life and give readers actionable next steps. 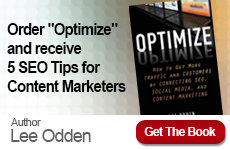 Original research and influencer content are two incredibly powerful content marketing tools. Original research helps uncover specific pain points that can be packaged as a helpful resource and generate content that can be reused and repurposed for years to come. Influencers offer unique perspective and third-party credibility and authority. And together they’re a force to be reckoned with. We knew that a second annual survey would enable us to show year-over-year comparisons, and build upon the credibility, authority, and search equity the 2017 survey had started fueling. The first order of business was to conduct the research, which was done in the form of a survey and open to all content marketers. With the survey data in hand, we reached out to some of the industry’s brightest minds to lend insight to the specific data points and offer their advice. Seven leaders including Robert Rose, Michael Brenner, and Carla Johnson shared their tips. Co-marketing: By coming together to co-market the report, DivvyHQ and TopRank Marketing worked to expand awareness by reaching both brands’ established and complementary audiences, and encouraging crossover. Refreshed, animated design: By leveraging a design template that moved, we wanted to help readers stay engaged. It also created a “cool” factor, which had the potential to increase shareability and word of mouth reach. An expanded data pool: In 2018, we aimed to increase the survey sample size in order to capture more robust data insights from a more diverse set of marketers. Created a blog series across the DivvyHQ and TopRank Marketing domains, which repurposed key data points and insights. Drafted and implemented organic brand social promotion messaging, including eye-catching imagery. Implemented paid social promotion on DivvyHQ channels. Created tailored influencer social amplification messaging. Sent email nurtures to both DivvyHQ and TopRank Marketing lists. Report downloads surpassed the total 2017 performance in just 14 days. After four weeks in the wild, download totals recorded a 233% increased compared to 2017. 94% of leads generated were new for DivvyHQ. Survey participation increased 233% year-over-year. Ready to Improve Your Marketing Performance? We’re ready to help you do just that. 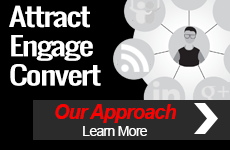 Learn more about our content marketing services or get in touch with us today.